If you’re like most drivers, maintaining a clean and orderly car is a major challenge. No matter how hard you try to keep your car clean, its exterior and interior just seem to keep getting dirty. The perfect time to start keeping your car clean—for real this time—is right after you buy a new car. A new car offers you a clean slate and an opportunity to change your cleaning habits for the better. Plus, the results of keeping a new car clean are more rewarding—a new car hasn’t yet suffered years of built-up dust, stains, and clutter that can be tough to erase completely. 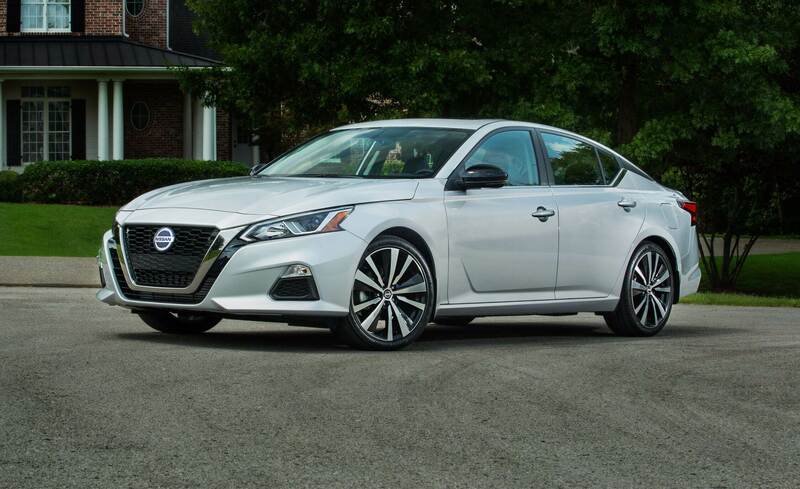 If you’re the proud new owner of a brand new 2019 Nissan Altima, strengthen your resolve to keep your stylish new mid-size sedan clean. These five simple tips and tricks can help you keep your new 2019 Nissan Altima sparkling clean inside and out for good. Far too many drivers have all the best intentions to keep the exterior of their car fresh and clean by washing and waxing it on a regular basis, but end up putting it off and waiting months between washes. Develop a regular routine for washing—and waxing—your 2019 Nissan Altima to prevent life from getting in the way of you keeping your new car clean. Mark these tasks on your calendar in advance, and stick to the schedule you set up to keep your car’s exterior clean. Not only does washing and waxing your car regularly help it look better, it also prevents dirt and debris from building up on the surface of your car and damaging its paint. It’s always a good idea to keep travel packs of Lysol, Clorox, or other disinfectant wipes somewhere in your car at all times. Stock them in your glove compartment, the pockets of your backseats, the inside of your passenger side door, etc. You never know when a drink might spill in your cupholder or when dust bunnies will start to build up in your air vents. Having multi-purpose cleansing wipes on hand in your car with you makes it easy to clean up spills, dust, and dirt quickly before they have chance to build up or settle in and cause more lasting damage. It’s easier to keep trash and clutter from piling up inside your car if you have somewhere to put it. Get a car organizer—or two—to hang over the front headrests of your 2019 Nissan Altima. Many multi-purpose car organizers feature several different compartments to hold water bottles, random items, trash, etc. These organizers make it easy to keep the interior of your car clean and orderly. They also reduce the risk of spills and stains, since dirty items like old greasy fast-food wrappers and drink cups can go straight into a trash compartment instead of getting lost under your seats. Just make sure to go through your car organizer(s) regularly to empty trash and ensure that these organizers only hold on-the-go essentials and don’t just become portable junk drawers. No matter how careful you are about keeping your car clean, spills and stains happen— especially if you have kids or carpool frequently with other people who might not be quite as conscious about cleanliness as you are. Protect the interior of your car against the inevitable by investing in liners to cover up its most spill- and stain-prone areas. You can buy rubber floor mats and seat liners that are easy to remove, clean, and replace at any time. Standard-size silicone cupcake wrappers make ideal liners for your cupholders. You won’t have to cringe quite as hard when a drink spills in your cupholder or grease from some fast-food French fries gets streaked across your backseat if you know that the damage from these messes is just temporary and easy to clean up. Keeping a scented air freshener in your car doesn’t necessarily help keep it clean, but it certainly makes a big difference in how pleasant the environment inside your car is. A high-quality scented air freshener can mask and replace unpleasant smells—which automatically helps your car seem cleaner. Plus, having a good-smelling car can help boost your mood and make every driving trip you take a little less of a drag. You can find affordable portable fragrances for your car anywhere from a gas station to Bath & Body Works. Keep an extra scented air freshener in your glove compartment so that you’ll always have an instant replacement when you need it.